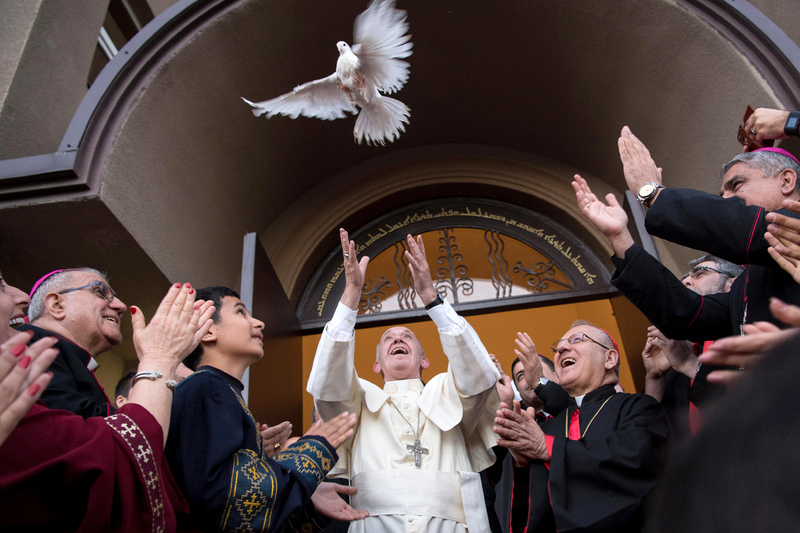 Pope Francis has once again put the cat amongst the pigeons. In a statement issued to time with the feast day of the moral theologian and legal thinker St Alphonsus Liguori, Pope Francis has approved a change to the catechism that declares the death penalty "inadmissible". He makes his argument based on three grounds: that our developing understanding of dignity means we can no longer see the death penalty as a dignified judicial response to evil in the light of a biblical call to justice always tempered with mercy, that what we know about how states use these powers should give us pause for thought, and that we now possess the means for detention and protection of public order such that there can be no proportionate moral reasoning in favour of the death penalty. News of this likely development has been trailed since at least the Pope’s visit to the US in 2017 and yet it seems to have caused significant ripples through the Catholic world, particularly but not exclusively in the US. The development itself, whilst certainly newsworthy and predictably headline grabbing, has in fact been a gradual change in the making over the course of the previous two papacies. In "Evangelium vitae" and during his visit to the US in 1999 John Paul II expressed his reservations about the likely inadmissibility of the death penalty on the grounds that it could no longer be viewed as a morally proportionate act, describing it as "cruel and unnecessary". Pope Benedict had issued exhortations that nations move towards the removal of the death penalty as an option. Indeed a preliminary stage of changes to the catechism had already been made following John Paul II’s document, although it did not go as far as this week’s announcement. So the claims that Francis is an outlier on this issue and represents a point of fundamental rupture are not quite right. Nonetheless, two other misunderstandings attend the current social media commentary around Francis’ actions. The first concerns the nature of the social teaching of the Church itself. The suggestion is that if Francis changes the teaching of the catechism on the death penalty then the only conclusion a Catholic can draw is that his predecessors taught in error. It is not splitting hairs or placing angels on pinheads to suggest at this juncture that what Francis is doing is not best thought of as "changing teaching". Of course, he has changed the wording of the catechism and this is an act of great significance for any Catholic. However, in deeper moral terms his action can be seen as part of a continuous process of historical discernment mandated by both the Gospel and the Catholic philosophical tradition. It is a bit awkward to suggest that "change" is the best way to conceive of his actions in this light. The Thomist tradition teaches that in social and political matters we are called to grasp the relationship between changeable means and unchanging ends. Our faith requires us to reflect on an unchanging revealed and transcendent truth about our nature and our purpose as human creatures. Yet we come to know (and come to respect what we do not or cannot know about) this truth through the changing material realities of our lives. And the changing material nature of our lives means we will of necessity deploy that unchanging truth in historically differentiated ways. This is not relativism but the upholding of an idea of objective order and natural law in the realm of the finite. The social and political teaching of the Church Fathers from Augustine through Aquinas and Vitoria reflects on this relationship of the changing processes of history to a truth that is both our origin and our end: a life of communion with the Father, Son and Spirit. This is our "common good", both in this life and the next and it sets the frame for every law and every institution on the face of the earth. Each thinker adds to our understanding of the situations in which coercive power might arise as a legitimate moral question. While prior to the 20th century tradition these thinkers each concluded that a death penalty could, under very limited circumstances, be considered legitimate it is clear that this conclusion relates to their historical judgements about the nature of contingent political order and the conditions of government in their own times. It is their method not simply their conclusion we are required to learn from. In the work of each of these thinkers, discussion of the use of force is separated neither from a conversation about the moral performance of governance (a changeable reality) nor from the discernment of the Scriptures. Francis’ three-step case for changing the wording of the catechism and therefore the guidance given to Catholics in their contemporary actions can be seen as an act of discernment within the framework of this tradition of Catholic reasoning. This same process has been used to "change" teaching on pacifism and just war, and on democracy and human rights in the twentieth century. The example of the impact of shifts in modern weaponry – the development of nuclear capacity specifically – upon teaching about just war is perhaps a close parallel. This is about the moral use of power and its ends. We need to be clear about what it is that is "changing" here and we need to be clear that the social teaching of the Church in order to remain a truly Catholic process of reasoning will of necessity require that we are open to declaring something formally previously admissible inadmissible. It is also therefore possible that such a teaching could be reversed. That is a potentially Catholic thing to do if a cogent case can be made that historical circumstance and scripture and doctrine point that way. No error need be implied prima facie. The question that can therefore be legitimately and helpful asked of Francis’ new guidance is whether the historical discernment set out in three stages seems a good and fair one? Does our changing understanding of dignity mean that the taking of life as an act of criminal justice seems contradictory to that end? Does the fact that the state has the capacity to restrain evil and uphold public order and pursue restorative forms of justice in historically unprecedented ways mean that we can no longer argue that public order alone requires us to take a life? Do we have concerns that the state overreaches itself and denies the true ends of the common good when it uses retribution or punishment as the basis for justifying taking a life? Is there a danger that the state makes an idol out of itself and denies a place for the divine act that turns a life towards its true ends in continuing to make possible the enacting of such draconian power? Which brings me to my second concern about the initial responses to Francis’ announcement. The novelty in Francis’ argument as it applies specifically to the death penalty concerns his reflections on the relationship between the state, it’s use of coercive power and questions of virtue. Francis’ stated second reason – that what we know about the state and its powers of coercion in matters of criminal justice has changed – is where we might want to focus some thought and reflection. His comment is brief but it is deeply suggestive. It seems to me that we quickly lose ourselves in squabbles about the rupture (or not) of a Francis papacy and fail to pay patient attention to some of the deeper more reflective questions that are begged by these developments in social teaching. Over the course of the last two papacies - and now Francis’ papacy – the social teaching of the Church has become gradually more concerned with the question of the limits of the role of the state in pursuit of the common good. This line of reflection has focused on matters of welfare and economics as much as warfare or the use of force. Following a post- conciliar period in which elements of the expanded role of the state was cautiously affirmed in CST, there has been a soft move at the turn of the new century towards reflection on the limits of the action of the state. To be clear: this is not a case for arguing that the state does not possess certain powers in principle, but rather a renewed moral case for the necessary restraint of the state in the use of such powers for the sake of pursuing the common good (which includes the duty to uphold individual dignity in each case). This reflection ought to cut across a lazy construal of liberal-conservative Catholic fault-lines, giving pause for thought and occasion for reflective discussion. Francis appears to be consciously adding to a line of reflection that has been slowly gathering pace; a case for the Church to call on those who animate law to exercise restraint in the use of the arsenal of cruel powers the state has at its disposal. This is matched by renewed calls for the reanimation of civil, territorial-communal action to achieve a form of the common good that cannot be born of state enforcement and cruel power alone. The implications of Francis’ discernment on this particular issue may therefore have wider implications for other areas of state action and the use of force where, in particular, liberal states look increasingly illiberal. The conversation ought therefore to be as concerned with the implications of this week’s statement for the shifting reflection of the Church on political order in our era as much as with questions of ecclesial method. Anna Rowlands is Associate Professor in Catholic Social Thought and Practice at Durham University. HFollow her on Twitter @AnnaRowlands1.